February 5th 2017 Lying down on a patio chair, listening to birds, an owl and dozens of frogs… for a good hour. Feb 4th 2016 Last night my daughter offered a foot massage – with cream and all-. Her little cold hands felt great. She is getting better each time. Also, she said “I won’t charge you Mom, it’s free because you work a lot all day”. May 27th 2015. So many highlights lately…so little time. Breakfast in bed, just ’cause’, on a random morning in Memorial Day’s weekend. Thought out by my husband, tray carried by my son- what a team! Spending my first 2 hours of Mother’s Day having coffee and reading a really good book while sitting by the San Diego Bay….alone. Putting a little care package together for a friend that is sick, I asked my daughter to add something that could cheer my friend up. She said, “A dollar from my piggy bank!” so she added it in a neat roll. Having a small Book Club at home in which we all climb in my bed and read our own book in complete silence, (It lasts like 15 min but still love it). Hearing my daughter say “harremphesis” (parenthesis) and and inthinity. I shall not correct her! Feb. 8th 2015. Just one day shy of turning ten, my son showed up by my bed at 6:40 am with the only intention of snuggling up with me. He NEVER does this (on a good day I get a “buenos dias mama!”), so I took it almost as a farewell to the single digit age. Our embrace, warm and sweet lasted all but 12 minutes, but they fell glorious to me, spooning his not-so-tiny body and smelling his hair. Jan. 12. 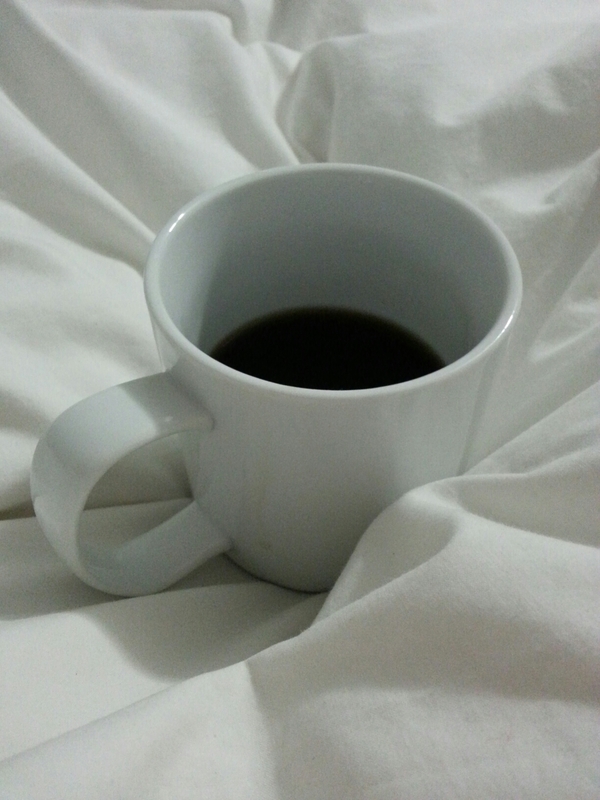 To have a steaming hot mug of coffee brought to my bed as I woke today, delivered by one of my favorite persons in the world: my sister. Jan.10th To find my name and number as the number one item in a quick contact list in my sister’s home. ..a thousand miles away from mine. Dec. 26th Baking my very first Bunt Cake (Orange Cake)- an excuse to use my new bunt pan. Dec. 25th Watching my children writing Thank You Letters to Santa Claus. Dec 18th Walking by the line of parked cars at my kids’ school, and peeking into the cars to see that every single one had clothes, bags, blankets, candy wrappers, scarves or some type of clothing item and a variety other junk. Why was this a highlight? Because I thought my car was messy- not anymore. Dec 10th Knowing that one of my best friend’s surgery ended up well and that she is recovering in her room. Dec 9th – Watching my daughter dance to The Nutcracker for 20 minutes in her best attempt to mimic a Ballerina. Dec 1st As I ran hot water on a cheese crusted plate in the kitchen sink, my daughter said “Mom, I think you are helping California’s drought!” and shut the faucet off.